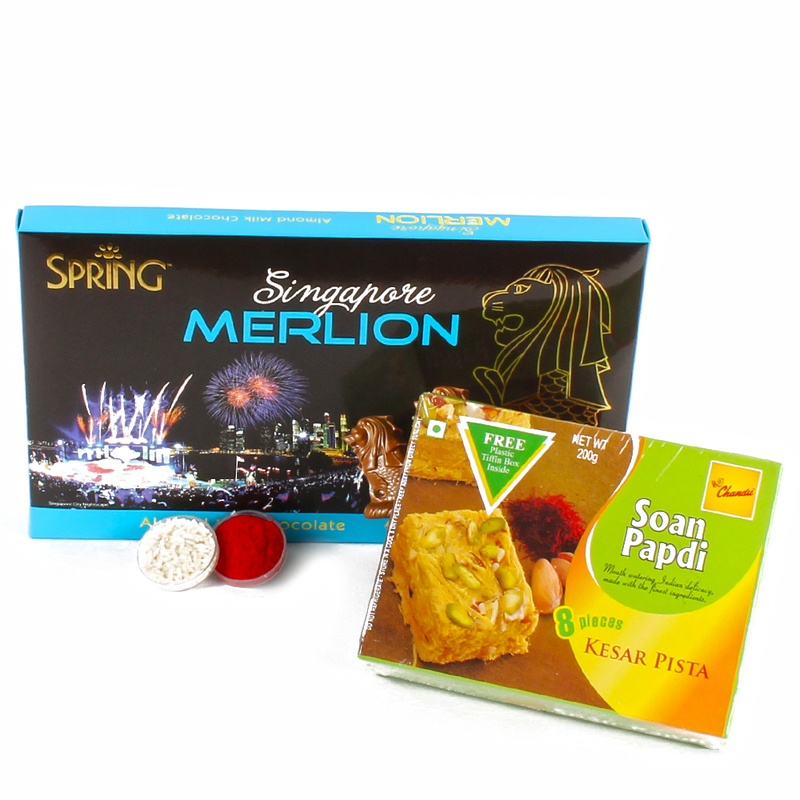 Product Consists : Spring Merlion Almond Milk Chocolates Pack (Weight: 140 gms) along with Box of Kesar Pista Soan Papdi (Weight : 200 Gms) and Pack of Roli Chawal. 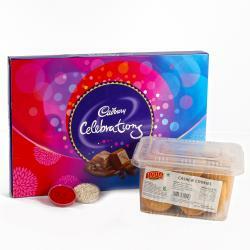 This bhai dooj send your brother blessings for good health and prosperity with tikka. This Box of Kesar Pista Soan Papdi which gives sweetness in your life and has all the essentials to perform a bhai dooj tikka. 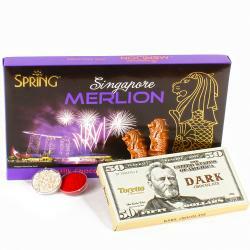 Spring Merlion Almond Milk Chocolates is the best way to greet him on this occasion the hamper has a well. 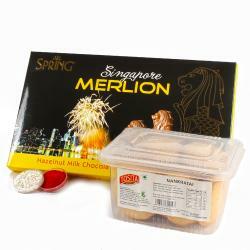 Product contains : Spring Merlion Almond Milk Chocolates Pack (Weight: 140 gms) along with Box of Kesar Pista Soan Papdi (Weight : 200 Gms) and Pack of Roli Chawal.